Hi there! At ELAIA’s Intensive and Superintensive olive trees grooves beside using diesel generators as an energy source we use electricy from the grid. Do you have a photovoltaic-hybrid solution using this energy? We need something to avoid pressure fluctuations keeping water flow constant. It is key for us to reduce our energy bill, as in countries like Spain energy expenses have increased over a 1000% in the last years. Hi Guilherme. Indeed we have also developed a photovoltaic-grid hybrid solution that pumps at constant flow and pressure. As what happens with the diesel generators, this hybrid system requires a complex control structure capable of synchronize the PV system, the grid and the irrigation automatisms that you already have. Likewise as we have done in Portugal at your Alentejo’s farm, we can install you a photovoltaic-grid hybrid solution in one of your available locations. Sounds great. I think a good location might be one of our spanish farms as in Spain electricity costs have rocketed in the last 8 years! I understand your interest in Spain… but I would suggest to install it somewhere else. Under the Spanish legislation (RD 900/2015) a photovoltaic-grid hybrid installation would have to pay consumption taxes besides dealing with the red tape. In addtion, installation’s profitability could be affected by future modifications of the current legislation . Why don’t you pick one of your Moroccan farms? Oh! I didn’t know anything about that.. thank you so much for letting me know. 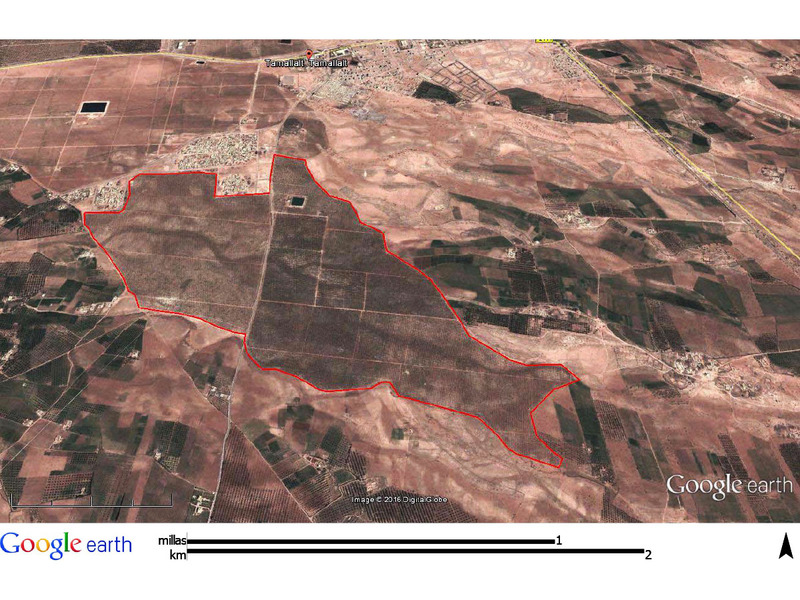 I think one of our farms from Tamelelt close to Marrakesh might be a good location. 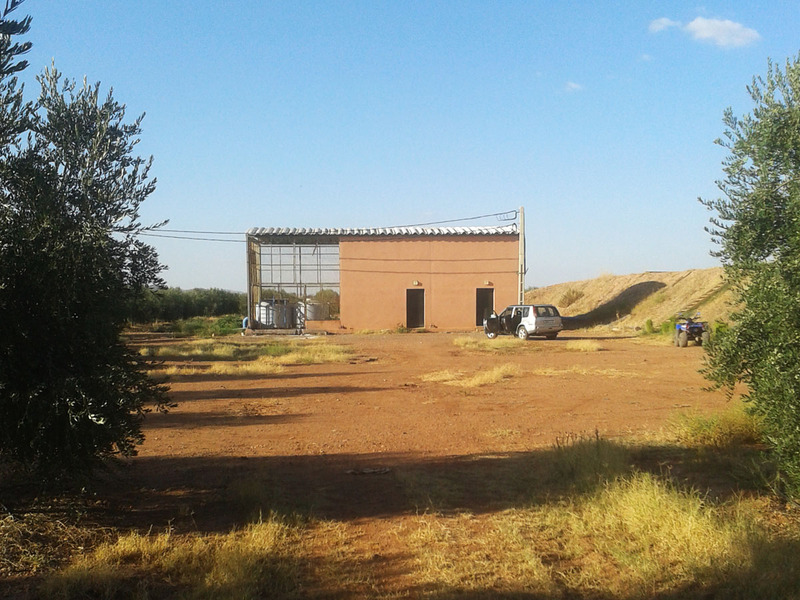 These farms belong to our subsidiary in Morocco Soprolives. 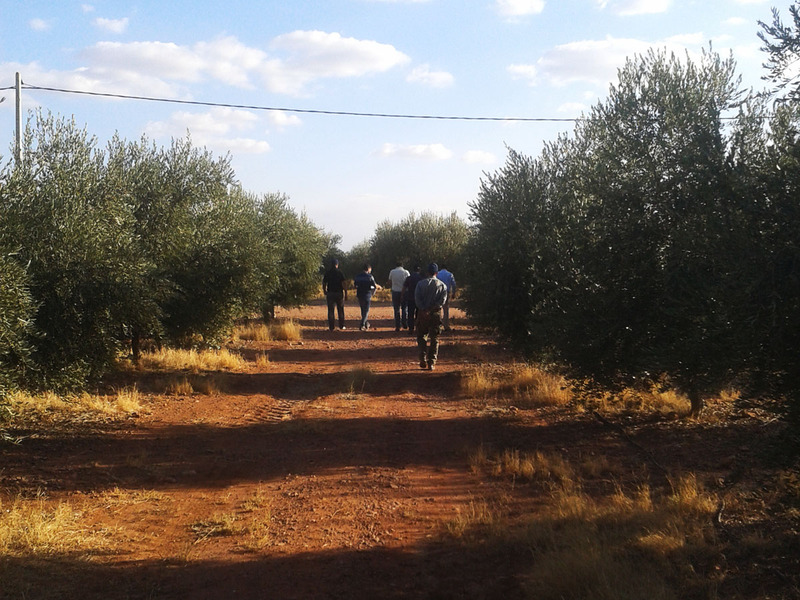 The farm UP9101 has an extension of 212 hectares where we grow intensively olive trees. We pump the water from 5 wells to a 25000 m3 pond that we use to irrigate the trees using drip irrigation. Please have a look to some pics. Moreover, as I told your, ELAIA is very open to innovation and our subsidiary Sorpolives is a good example of an agroindustrial company from the Maghreb region. Umm.. Interesting.. please tell me the attributes of that location. 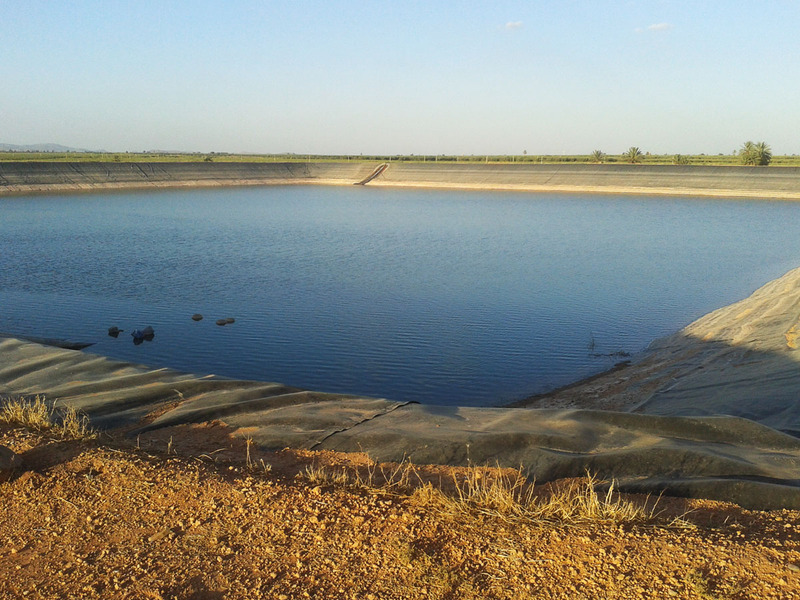 The farm is divided in 8 irrigation sectors where we pump about 2800m3, with 4.3 bar pressure, on summer days. These sectors are controlled by a PROGRES automatism. In Tamelelt the average annual insolation is 5,61 kWh/m2/day. We are currently using an irrigation system that has two surface KAS TRIANORM 125-400 pumps with a power of 45 kW each to pump from an elevated irrigation pool to a drip irrigation network, and an irrigation automatism A4000 manufactured by PROGRES. Pumps are controlled by two grid-operated frecuency inverters. A 120 kWp MARTIFER PV generator placed over a North-South horizontal axis. The energy supply from the grid that you’re already using. Two OMRON RX-55 kW – 3GRX A4550-E1F frecuency inverters that will be added to the two inverters that you are currently using. Everything will be integrated using your Agronic 4000. Please have a look to the installation plan. With this design we’ve tried to use photovoltaic energy as much as possible. Electricity from the grid is only used at night time on those days when PV pumping hasn’t been enough to fulfill our needs, or also to support the PV system to keep flow and pressure constant. Photovoltaic only mode: This is the mode that will be used most of the time. Two CAPRARI pumps will use energy from the PV generator. Hybrid PV-Grid mode: This mode will be used when passing clouds. The two CAPRARI pumps will use the available PV power supported with energy from the grid, avoiding energy fluctuations. Grid only mode: The two pumps will use energy from the grid. This mode will only be used when solar energy is not available, or when grid electricity is cheaper.